Infra, coming from the Latin word for 'below', presented a portrait of life beneath the surface of the city. This abstract ballet delved beneath the surface to present a moving mediation on human interactions. Working with British artist Julian Opie to stage the work, Infra premiered in 2008 and was dedicated to Monica Mason in celebration of her 50th season with The Royal Ballet. 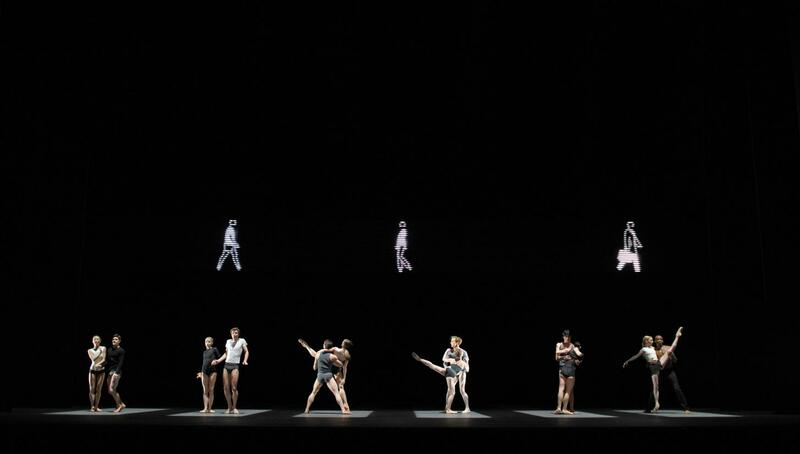 With an LED screen running the width of the stage revealing a mesmerising flow of Julian Opie's walking figures, Infra features twelve dancers moving through solos, duets and ensembles. Accompanying the work is Max Richter's elegiac score, which mixes melancholy string melodies with electronic sounds. A BBC clip featuring Wayne McGregor, Julian Opie, Max Richter and dancers in the lead up to the premiere can be watched here. Images by Bill Cooper © ROH. 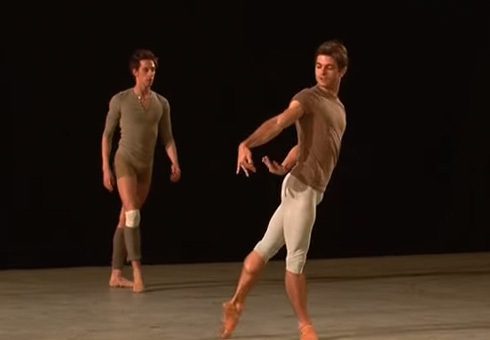 Trailer for the original production of Infra by The Royal Ballet.